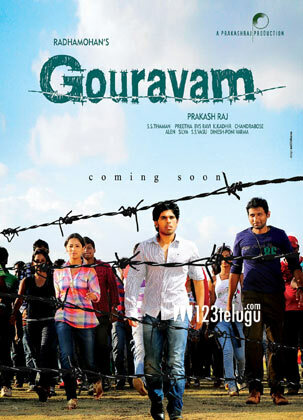 Sirish, Yaami Gautam starrer Gouravam has landed in a big controversy in Tamil Nadu. After the trailer was aired, a caste group representing the ‘Gounder’ community has demanded a ban on the film alleging that the film will incite violence in sensitive areas in Dharmapuri district. Last year, caste based riots broke out in this district and Manigandan, the president of the group demanding a ban on the film, said, “The trailer shows upper caste communities in bad light by suggesting that they commit honour killings in the name of Gouravam. It’ll create a wrong impression in the minds of the audience and it may even incite people to commit violent acts.” However, director Radha Mohan has rubbished these claims and told a leading newspaper that his film is not inspired from the riots in Dharmapuri district. This isn’t the first time that a group has come forward demanding a ban on a film. Earlier this year, several muslim groups approached the Tamil Nadu state government demanding a ban on Kamal Haasan’s Vishwaroopam and the film’s release was stalled for almost 10 days. Although the state government hasn’t reacted to the call for ban on Gouravam, it remains to be seen if there are any protests against the film. Sirish is going to make his debut with this film which is based on theme of honour killings and how a city boy starts a revolution to put an end to this social evil. Prakash Raj has played a crucial role and has also produced the film. Thaman has scored the music and the film is going to hit the screens on April 19.